Time for a quick change? Call the experts! 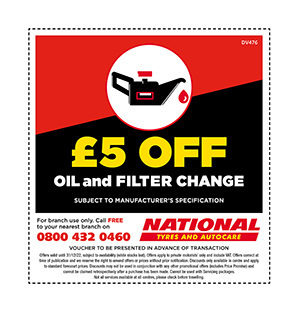 National completes thousands of oil and filter changes every week, helping customers' engines run better and last longer for a low cost. The health of your engine depends greatly on the performance of the oil and filter. At National we only use top quality engine oils from one of the world's largest lubricant manufacturers, LukOi (more about LukOil Lubricants). 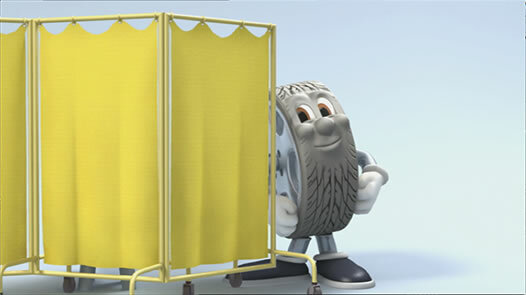 National have over 1,000 oil and filter technicians across the UK who are standing by to help you select the right type of oil for your vehicle. To ensure you get the best price for your next oil and filter change, speak directly to one of our local technicians on the number below or use our simple registration number lookup system to get a quick quote or make an online booking. CLICK HERE TO DOWNLOAD VOUCHER to use in branch. Oil helps to lubricate your vehicle, ensuring the moving parts run smoothly, while the filter helps to carry dirt and debris away from your engine. 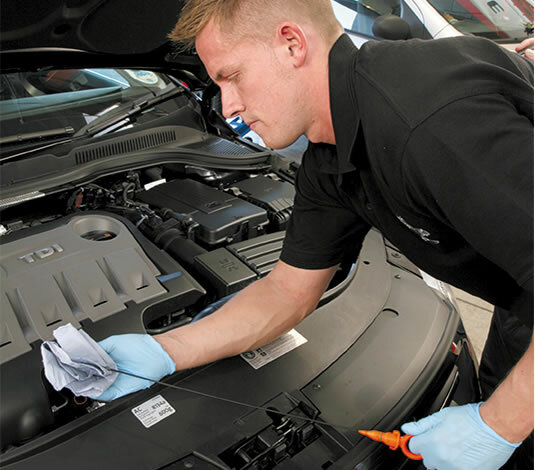 However over time oil can lose its viscosity and the filter can become clogged so regular oil and filter changes are recommended (every 6000 miles approx.). At National we have several types of oil in stock and can offer low prices and quick changes to get you back on the road with minimum hassle. 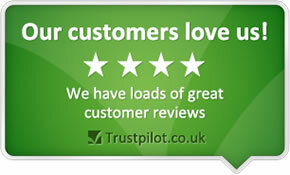 Don't forget our Price Promise – if you can find the same product at a lower price in stock locally within 7 days of purchase, we promise to beat the competitor's written quotation. Most vehicles are fitted with an oil warning light to alert the driver when the vehicle is low in oil. Even if your warning light isn't on, you should check the oil once a month to make sure it hasn't fallen below the manufacturer's minimum. Not having enough oil in your vehicle can seriously damage your engine so if you aren't sure, then ask a National expert today.